Jai Prakash Naraian Death Anniversary is 5 October 2013. Jayaprakash Narayan (11 October 1902 – 8 October 1979), widely known as JP Narayan, Jayaprakash, or Loknayak, was an Indian independence activist and political leader, remembered especially for leading the opposition to Indira Gandhi in the 1970s and for giving a call for peaceful Total Revolution. His biography, Jayaprakash, was written by his nationalist friend and an eminent writer of Hindi literature, Ramavriksha Benipuri. In 1998, he was posthumously awarded the Bharat Ratna, India’s highest civilian award, in recognition of his social work. Other awards include the Magsaysay award for Public Service in 1965. The airport of Patna is also named after him. Jayaprakash Narayan joined "Bihar Vidyapeeth" that was founded by Dr. Rajendra Prasad for motivating young talented youths and was among the first students of renowned Gandhian Dr. Anugrah Narayan Sinha, a close colleague of Mahatma Gandhi In 1920 Jayaprakash married Prabhavati Devi. His wife was also a freedom fighter in her own right and a staunch disciple of Kasturba Gandhi. Prabhavati was the daughter of lawyer and nationalist Brij Kishore Prasad, one of the previous Gandhians in Bihar. In 1922, Jayaprakash Narayan went to the United States, where he worked for tenure in order to support his studies in political science, sociology and economics at the University of California, Berkeley, University of Iowa, University of Wisconsin-Madison and Ohio State University. He supported Marxism while studying at the University of Wisconsin-Madison under sociologist Edward A. Ross. Due to limited finance and his mother`s ill health, he was forced to abandon his desire for attaining the PhD degree. Jayaprakash Narayan became familiar with Rajani Palme Dutt and other revolutionaries in London while returning to India. After returning to India, Jayaprakash Narayan joined the Indian National Congress on the invitation of Jawaharlal Nehru in 1929. Mahatma Gandhi became his counselor in the Congress. 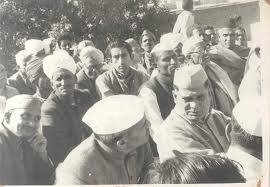 He shared the same house at kadam kuan in Patna with his close friend and nationalist Ganga Sharan Singh (Sinha). During the Indian independence movement Jayaprakash Narayan was arrested, jailed, and tortured several times by the British. He won particular fame during the Quit India movement. After independence and the death of Mahatma Gandhi, Jayaprakash Narayan, Acharya Narendra Dev and Basawon Singh (Sinha) looked after the CSP out of Congress to become the opposition Socialist Party, which later took the name, Praja Socialist Party. On April 19, 1954, Jayaprakash Narayan declared in Gaya that he was dedicating his life (Jeevandan) to Vinoba Bhave`s Sarvodaya movement and its Bhoodan campaign, which promoted distribution of lands to Harijans (untouchables). He gave up his land, set up an ashram in Hazaribagh, and worked towards uplifting the village. In 1957, Jayaprakash Narayan officially split with the Praja Socialist Party in order to pursue Polity of the people. By this time, Jayaprakash Narayan had become sure that lokniti should be non-partisan in order to build a consensus-based, unrestricted, participatory democracy, which he called as Sarvodaya. Narayan became an important figure in the India-wide network of Gandhian Sarvodaya workers. In 1964, Narayan was vilified across the political spectrum for disagreeing in an article in the Hindustan Times that India had a liability to keep its promise to allow autonomy to the Indian state of Jammu and Kashmir. Jayaprakash Narayan called for Sampurna Kranti on the 5th of June 1975 - total revolution at a historic rally of students at Patna`s Gandhi Maidan. 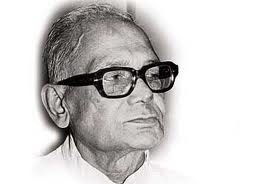 Jayaprakash Narayan again gained prominence in State politics in the late 1960s. In 1974, he led the student`s movement in the state of Bihar, which steadily developed, into a popular people`s movement known as the Bihar movement. 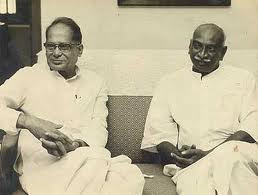 It was during this movement that Jayaprakash Narayan called for peaceful Total Revolution Together with V. M. Tarkunde to uphold and defend civil liberties. Jayaprakash Narayan had spent the first 25 years of independence as the patron saint of lost causes: the Praja Socialist Party, the Sarvodaya movement, even self-determination for Jammu and Kashmir. His most enduring contribution to the life of the Republic was the movement he led to unseat Mrs Gandhi, which provoked the Emergency. 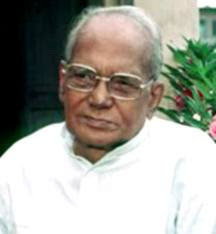 Jayaprakash Narayan also wrote several books, the best of the lot was Reconstruction of Indian Polity. He promoted Hindu revivalism, but was initially earned criticisms for the formation of the revivalism promoted by the Sangh Parivar. 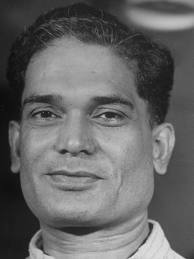 Jayaprakash Narayan died in October 1979. In 1998, Jayaprakash Narayan was posthumously awarded the Bharat Ratna award, India`s highest civilian award for his social work. Other awards include the Magsaysay award for Public Service in 1965. 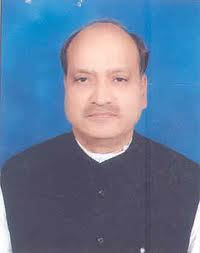 A university called the J P University in Chhapra, Bihar and two Hospitals, L N J P Hospital in New Delhi and Jai Prabha Hospital in Patna has been opened in his memory. The capital`s largest and best-equipped trauma centre, the Jai Prakash Narayan Apex Trauma Centre of the All India Institute of Medical Sciences, also commemorates his contributions.